Buffalo Niagara Travel Professionals hold monthly networking meetings. All travel professionals from the Buffalo/Niagara region are invited to attend. The concept of a “Show House” was to recruit local designers to transform a large, historic home into an enviable dream home, room by room. The public would buy tickets to see the house and all money raised would be donated back into the community. Since 1981, the Junior League of Buffalo has hosted 19 houses and raised over $4.1 million for the Western New York community. 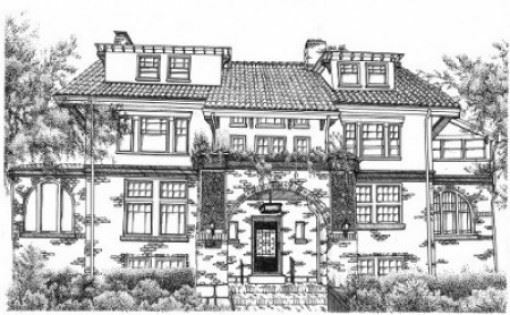 Please join us for this privately guided tour of the Palmer Centennial House. Junior League Members and Community Volunteers will serve as docents, escorting groups throughout the newly decorated interior and the grounds of the residence. Unique and detailed descriptions, discussion of design techniques and information about the historical aspects of the home will complement your tour. The Boutique will be open for shopping and light refreshments will be available for purchase. For more information on the Decorator’s Show House, click here. Cost for the tour is $30/per person. Please RSVP online by March 29th, 2018 - extended to APRIL 3, 2019. Register online at www.bntp.wildapricot.org/events. Registration is limited to 30 people total. Upon registering please advise if you will be joining us for the 6:20 (FULL), 6:40 or 7:00pm tour. Please join us at our next BNTP meeting where we will be joined by former hotelier, Althea Luehrsen, CEO of Leadership Buffalo. Leadership Buffalo is a non-profit organization founded in 1987 with one mission: to unite existing and emerging leaders from diverse backgrounds and perspectives in order to increase their knowledge of community issues, broaden their vision and enhance their ability to lead. Leadership Buffalo continues to be the catalyst to bring our community together to reach our primary goal of Making Buffalo Better. Last minute RSVPs only, e-mail Chris Hall chall@owt.net and pay at door.